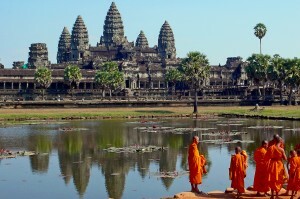 In recent years Kingdom of Cambodia is actively promoted as tourism destination. Phnom Penh, Siem Reap and Sihanoukville are among the most significant tourist destinations for Cambodia, both for global, regional and domestic tourists. Tourists from Europe, USA, Ausltralia are mostly attracted to Cambodia by magnificent temples of Angkor and other famous cultural heritages of Khmer culture. Magnet of attraction for the tourists from Asia is a “Naga World” casino complex. 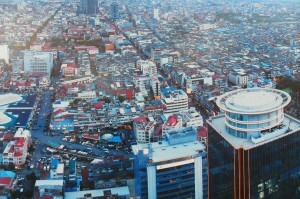 “Naga World” was built in 1995 in the vibrant landmark of Phnom Penh, capital city of Kingdom of Cambodia. “Naga World” offers to the visitors extensive entertainment services and casino. Naga World is recognized as one of the finest hotel of Cambodia with 700 plus luxurious rooms, royal style spa, premium meeting space, designer shopping gallery and fine dining at any of 18 food & beverage outlets.